Ask Me Anything: Asia Correspondent Anthony Kuhn Answers : Parallels NPR's Anthony Kuhn has lived in and covered Asia for the past two decades. 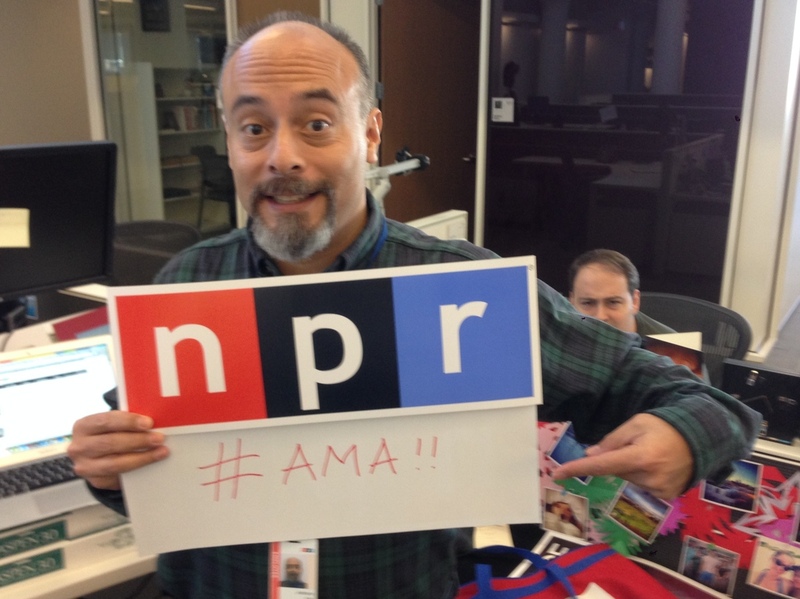 He fielded questions about pollution in China, North Korean intrigue, the most fun he's had while reporting, his favorite Asian culinary discovery, and more during his Reddit Ask Me Anything. NPR's Anthony Kuhn has lived in and covered Asia for the past two decades. The majority of his time has been in China — where he is currently based — though he spent most of the past three years covering Southeast Asia, including Myanmar, from his base in Jakarta. Most recently, he covered Typhoon Haiyan in the Philippines. He fielded questions about pollution in China, North Korean intrigue, languages and his favorite Asian culinary discovery during his Reddit Ask Me Anything on Friday. In the long term, yes, they can clean up, just as U.S. cities have done. The threats to China's public health and social stability are so huge. The hardest part will be to change "develop first, clean up later" mindset, especially for those who have yet to share the fruits of development. I guess the key question is how much it strengthens leader Kim Jong Un's position, whether it means an ideological shift away from market reforms, and whether the purge will bleed into foreign policy, for example tenser relations with Seoul, Washington and Beijing ... or even more nuke or missile tests. Not many, just French and Chinese (Mandarin). Long list of linguistic ambitions, including Thai, Japanese, Korean, Arabic, etc. I have not been in any terribly life-threatening situations. I have been in some angry crowds, including in Beijing after the NATO bombing of the Chinese embassy in Belgrade in 1999, and in Urumqi, Xinjiang, after rioting in 2009. And I was pretty close to Mt. Merapi when it blew up in 2010. Ground was so hot, boots were melting! All good, though. So many I can't remember. Trekking in the footsteps of naturalist Alfred Russel Wallace in North Sulawesi, Indonesia, this spring, looking for endangered species. Floating around the planet in general, living off the kindness of strangers and friends who share their thoughts with me. Gotta be Indonesian tempeh — the nutty, smoky flavor, best with nasi kuning. The food of the Indonesian archipelago is so varied, looking forward to discovering more of it. What does the name "Z" or "Central Kingdom" (Middle Kingdom is a mistranslation) tell you? They were the world's biggest economy and leading sci/tech power for centuries. Many of them see the past 150 years of backwardness and humiliation as an anomaly that is nearly over, and that they will resume their rightful place at the center of Asia and the world. Then again, their conceptions of nation state and race are evolving. I feel political stability is very fragile in many places. What are the implications of a country — China, e.g. — spending more on internal security than on national defense? I wonder whether that is sustainable. The region lacks political architecture to address such issues — look at how effective ASEAN has been in addressing conflicts in western Myanmar, Thai-Cambodian border, etc.